Topics: An Escape, An Unfinished Expression, Personal, A Conversation So Unpleasant, Life, and Giants Of The Sky. It is hosted by Google Inc. California, using GSE web server. 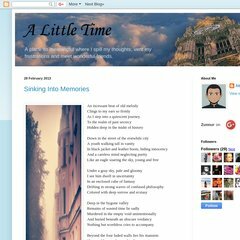 A-little-time.blogspot.com's server IP number is 72.14.204.132.